Today we’d like to introduce you to Gail Glikmann. Gail, we’d love to hear your story and how you got to where you are today both personally and as an artist. I have been an artist and sculptor all of my life. I never wanted to do anything else. I made my first sculpture at 15. At 16, I received a scholarship to the Chouinard Art Institute in Los Angeles. The next year when I entered C-SUN, I found they did not even have a sculpture department. Luckily they created a three-dimensional art department just for me! From time to time I have exhibited at galleries or donated pieces to various charities, however my focus has been on making and not promoting my work. 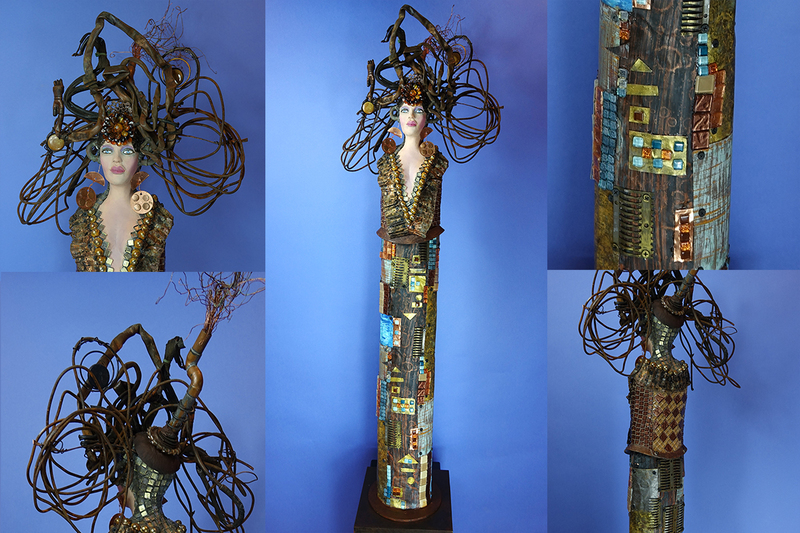 Now, at age 70, with a house full of sculptures in all different mediums and styles I have decided to start showing and selling my work for the first time. 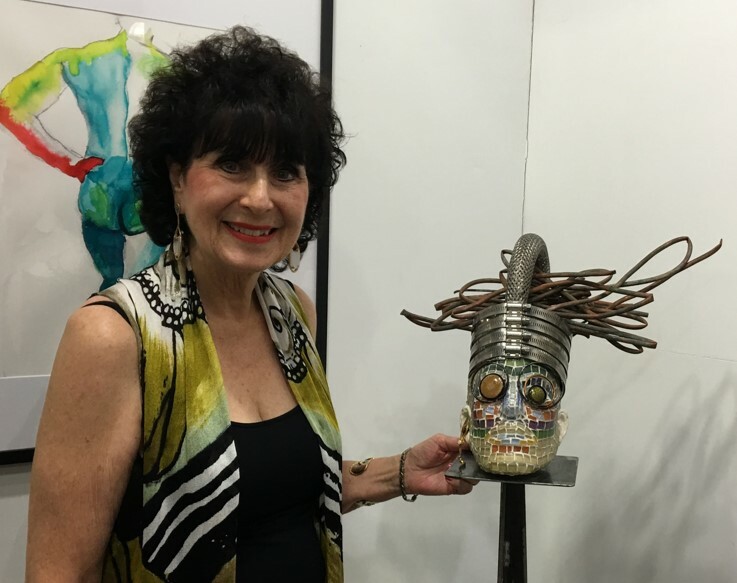 I was immediately accepted into the Los Angeles Art Association (LAAA) in January of 2016 and have since had pieces in several shows and galleries in the LA area. I’m just getting going! Over the last 5 years, I have become fascinated with things that I have found in junkyards. 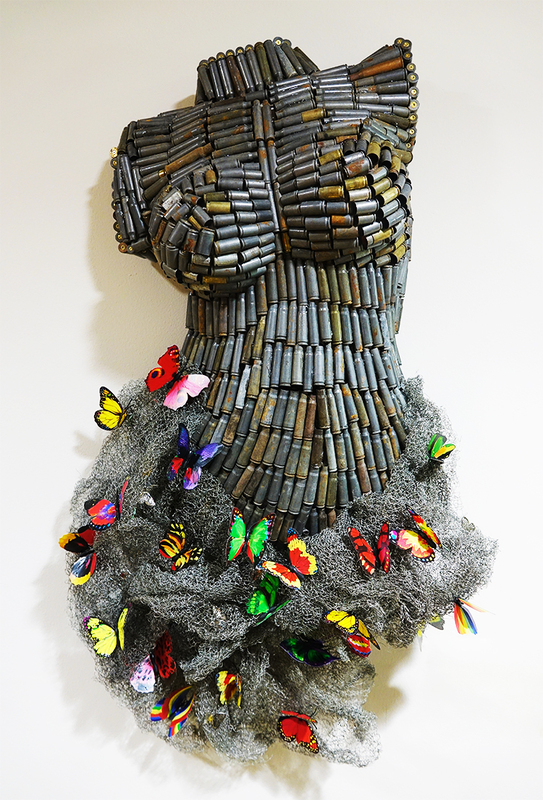 As a result, my latest work has included mosaics and various found objects, metals, e-waste, etc. Often the found objects are the inspiration for a new piece. 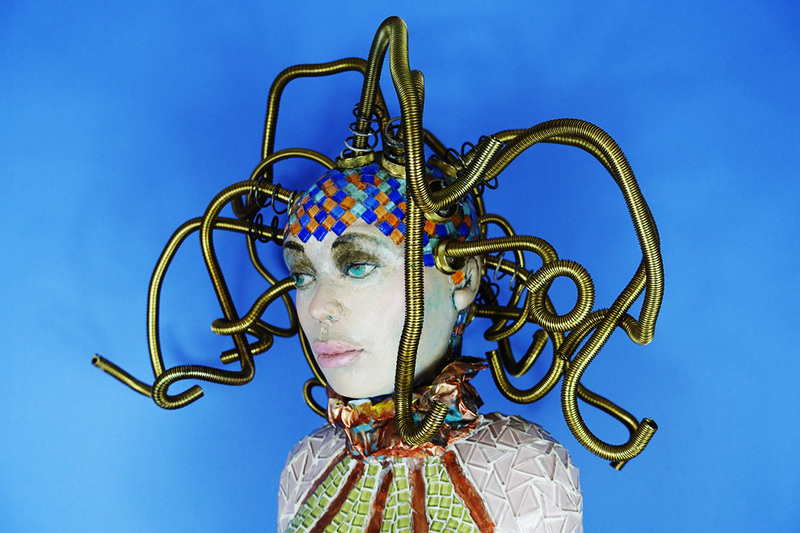 The creatures that come to life in my studio always surprise me. I sometimes think that it has taken me my whole life to become loose enough to set my imagination free. 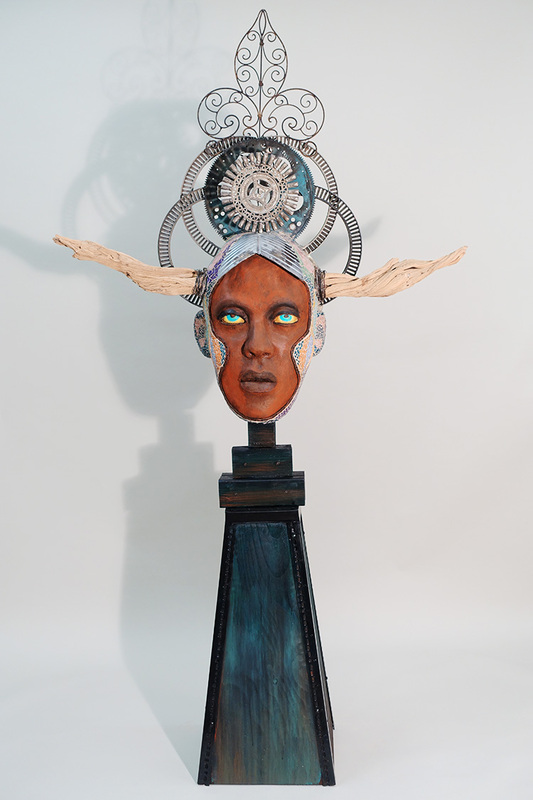 The work hovers between the ancient mythological and the futuristic. Almost as if depicting a civilization remaking itself from the found fragments of an Industrial Age, combining with unrelated strands of legends and myths from an even further past. How does the human race create or recreate itself? Who are these beings that are so like and yet unlike us? 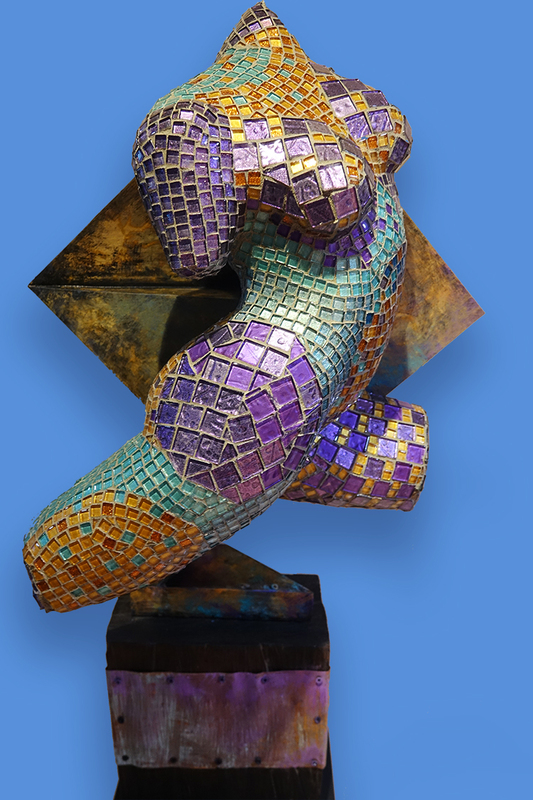 The pieces are made of mosaic and found metals, generally over a base of hand carved foam covered with resin, so they are not as heavy as they appear. 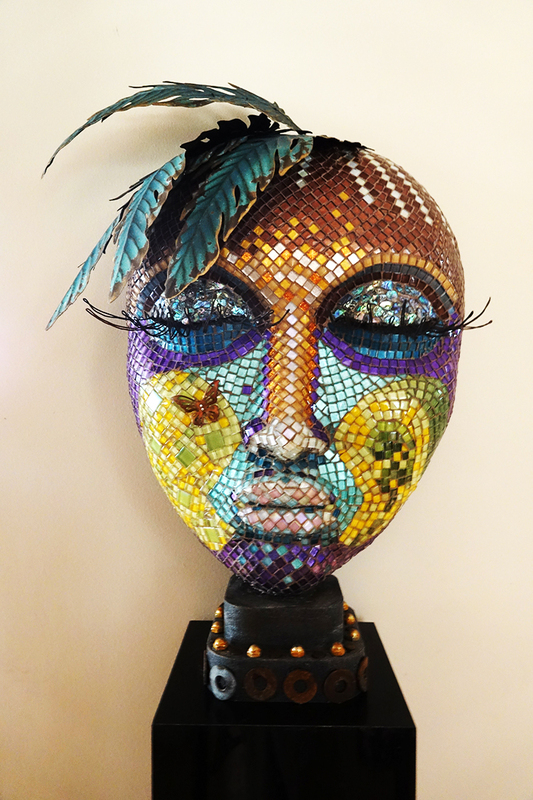 I paint the faces by hand, the colors bold, the mosaic flowing and fanciful, contrasting with the industrial found metal incorporated into each piece. As a sculptor, I work in a studio with several other accomplished sculptors, and this gives us a sense of community, and keeps us learning from each other and growing. You can also join many of the fabulous classes and workshops that are available in the LA area. Even if you are an established artist, there is always something new to learn and you can meet and work with other artists. My work has appeared in various group shows in the Los Angeles area. However, as I have only begun to exhibit, my home is like a gallery. I often conduct tours and have “studio visits” there and would be happy to welcome you and show you my work and sell it to you directly if you are interested in buying. Yes, I have had the privilege is seeing some of her work in her home. She is a very talented sculptor and I wish her every deserved success.